It sure seems like WWE is betting on The Rock returning for WrestleMania – AiPT! 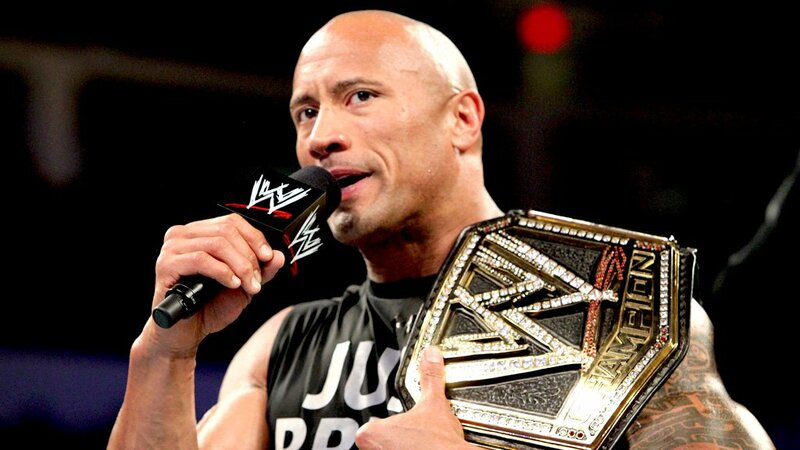 The People’s Champ has been unusually mentioned on WWE television thrice this week amidst heavy rumors of his return. Outside of a record-setting quick embarrassment of Erick Rowan at WrestleMania 32, The Rock’s last WWE match was all the way back at WrestleMania 29, where he was defeated by John Cena in a twice-in-a-lifetime, passing of the torch moment. Since then, the most electrifying man in sports entertainment and the hardest working man in Hollywood has made only sporadic appearances on WWE television. While he was rumored to be Ronda Rousey’s tag team partner at this year’s WrestleMania, that role ended up going to Kurt Angle, and it seemed that the Great One’s in-ring days were over. The Rock injured his pectoral muscle early in his Mania 29 matchup, causing delays on the set of Hercules and sending his insurance company into a fit. So like Meltzer said, it’ll be hard to make it work if The Rock is in the middle of filming a movie come the first weekend in April. And seeing as how the man seemingly never stops working, safe money says he will be. The rest of his response didn’t offer much additional info, as he mostly just reminisced about how important Madison Square Garden was to launching his career, but this, combined with Meltzer’s report, combined with the fact that The Rock has been mentioned not once, but three times in two shows this week, makes this fan think something is up. On Raw, Elias was preparing to sing a song in Rocky’s hometown of Miami, Florida, when he decided to call out the People’s Champ. Now, Elias is about as old school a heel as you can get, so it’s easy to chalk that up to expert acquisition of cheap heat. But the next night on SmackDown Live, The Usos made an out-of-left-field reference to shining something up real nice and sticking it straight up somebody’s candy posterior. Later on in the episode, during a promo battle between Daniel Bryan and The Miz, Bryan told The Miz that despite his Hollywood aspirations, he would never be The Rock. Taken in a vacuum, it doesn’t mean a lot — taken in a vacuum, none of this does. If any of these things had happened alone, it would not be suspicious. But the convergence of heavy rumors, The Rock himself mentioning he can’t wait to get back in a ring, and several unusual references to Rocky on WWE television combine to make it seem like at the very least, WWE and Dwayne Johnson are hoping to work something out for WrestleMania this year from New York New Jersey. Was it just a coincidence that The Rock was mentioned three times on WWE television the same week heavy rumors of his return make the rounds, or is WWE trying to summon the People’s Champion, Beetlejuice style? So, if everything does work out, who would The Rock face off against? Current rumors point to his blood cousin, Roman Reigns. That would be interesting for a few reasons, not the least of which being that it would keep Reigns away from Brock Lesnar at the Grandest Stage of Them All for once. It would be another notch on Reigns’s belt to go one on one with the Great One, and though Rocky already passed the torch at Mania 29 to John Cena, I guess he can just pass another one to Roman. Why not? On the flip side, one of Reigns’s major weaknesses is on the microphone, and his big cousin would almost assuredly absolutely destroy him in that respect. Putting a guy who struggles on the mic up against one of the undisputed greatest stick men of all time seems like a bad call, unless trial by fire is what they’re going for. One thing’s for certain: Adding The Rock to any card instantly makes it appointment television. If WWE and The Rock can work out the details, WrestleMania 35 will be one to remember. If you’d like more wrestling news, opinions and hot takes-be sure to check out our new podcast, Poor Taste Wrestling. New episodes are available every Friday and you’ll get to listen to us break down RAW, SmackDown, NXT and more every week. You can also follow our wrestling Twitter @AiPTWrestling for all the latest news and match play-by-play.